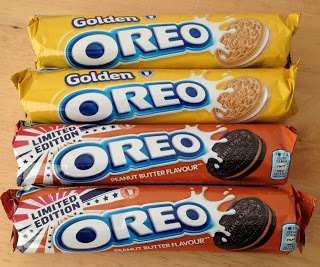 We are pretty familiar with Oreos now in the UK, but unlike America we don’t have easy access to all the different Oreo flavours and varieties. Well the wait is over as two new flavours are now widely available in all major UK supermarkets! One of them is Golden Oreos , which have a vanilla biscuit surrounding the cream centre. 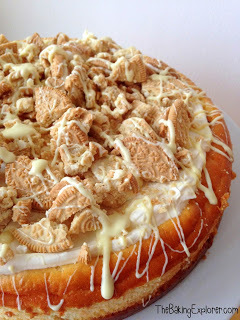 So of course I had to bake with them, and I came up with this indulgent Golden Oreo Cheesecake! The cheesecake is light and creamy, it’s topped with whipped cream, Golden Oreo pieces and a generous drizzle of white chocolate. Check out the Peanut Butter Oreo Truffles I made with the Peanut Butter Oreos ! 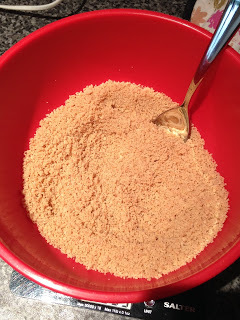 I started by whizzing the Golden Oreos into fine crumbs using a food processor . 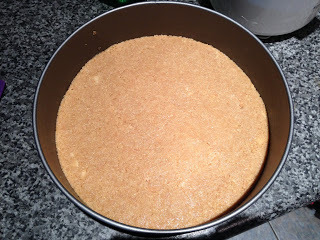 I added melted butter to the crumbs and then pressed it into a 23cm springform tin , making sure it was compact and even. It chilled for 30 minutes in the fridge. 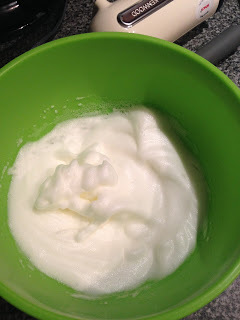 Using my electric hand mixer I whisked up the egg whites until stiff. 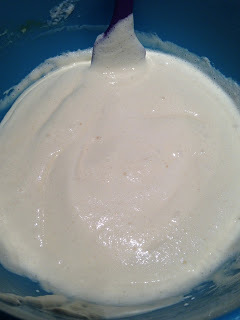 In a separate bowl I mixed together full fat cream cheese, egg yolks, caster sugar and vanilla extract. 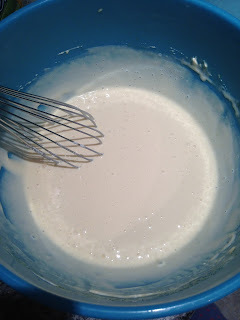 I added the egg whites and folded them in gently. 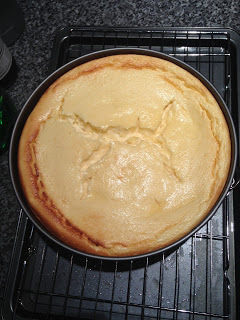 I poured the mixture over the chilled biscuit base and baked it for 40 minutes on 180C/350F/Gas Mark 4. Make sure to put the tin onto a baking tray as I had some butter leak out of the tin while it was cooking and it got all over the bottom of my oven – not a fun clean up job! I let it cool fully to room temperature before decorating. 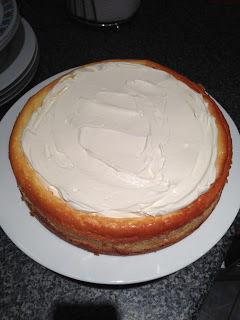 Then I whipped up double cream and spread it over the top of the cheesecake. I broke up the leftover Oreos and sprinkled them all over the top, finally I melted white chocolate and drizzled it all over the Golden Oreo Cheesecake. I loved the final look of the Golden Oreo Cheesecake, it looked so indulgent! 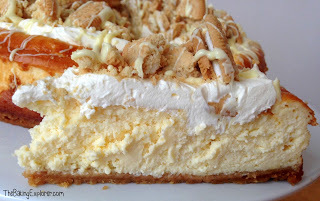 The cheesecake itself is really light and moussey because of the addition of whisked egg whites. The Golden Oreos tasted delicious, they have a beautiful vanilla flavour and the creme centre is fabulous as usual. 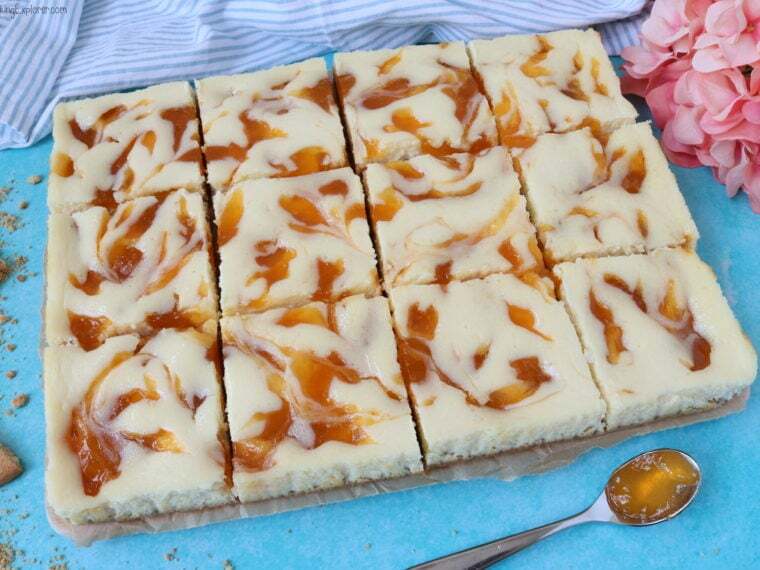 This Golden Oreo Cheesecake was a huge hit with my boyfriend and his friends! Pre-heat your oven to 160C Fan/180C/350F/Gas Mark 4. The Oreos were delicious weren't they? Your cheesecake looks fantasticly deep. Making me hungry…! Thanks Stuart! Yes I loved the Golden ones, still yet to try the Peanut Butter but I have a couple of ideas for what to make with them! Hi Jasmine, thank you! 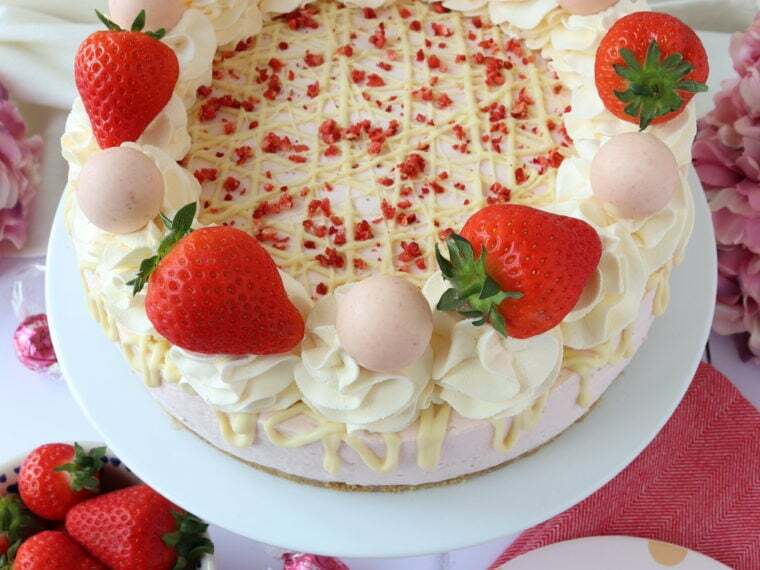 I hope you enjoy this cheesecake as much as I did!